I cheated for today's photo... I didn't prepare myself well for this coming week AT ALL. My camera is still in Bristol and I'm back home at the moment. I barely have any clothes with me... Only the ones that are either a few years old or are slightly too big for me. 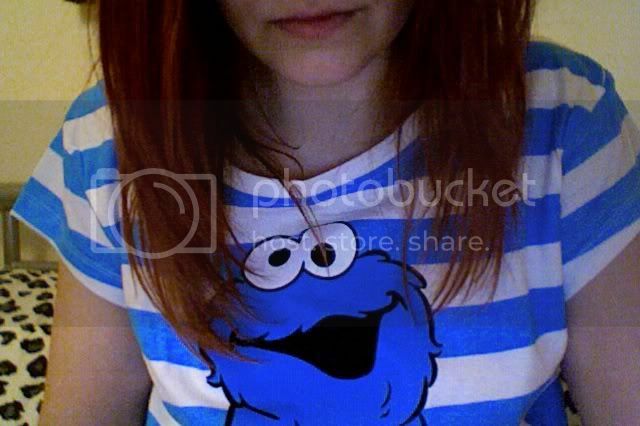 That's why I've ended up posting a lovely shot of my mouth and my new Cookie Monster pyjama top. I'm having a make-up free 'slobby' day (which I haven't had in AGES so definitely embracing every minute) so this is the best I could do. To be honest, I'm seriously loving this top at the moment anyway. It's only from Primark, and if you know me, you'll know that this top definitely suits me to the ground. Not because I love cookies (well, I do) but because I love everything to do with the Muppets. Yes, he's from Sesame Street, but they're linked, so it's acceptable! I'll stop going on now... I could talk about the Muppets allllll day. There's a lot of change going on at the moment. I guess this is another reason why I'm using this Sunday to relax as much as possible. Like I said, I'm back home at the moment... and I'll be moving back here within the next week as I'm in the process of changing jobs/career. I couldn't be more excited to be honest. I'll miss Bristol and the lovely people I've met whilst living there, but I'm definitely ready to move back home, be closer to my friends and family and get into the industry that I've now realised I really want to be in. Of course, this means I'll need to somehow pack away my Bristol life within a day or 2 and then fit it all in my bedroom back home. Not sure how that's going to happen! If anyone wants to help me next weekend, please do! It's my last time in Bristol anyway so I'd like to make the most of it somehow! 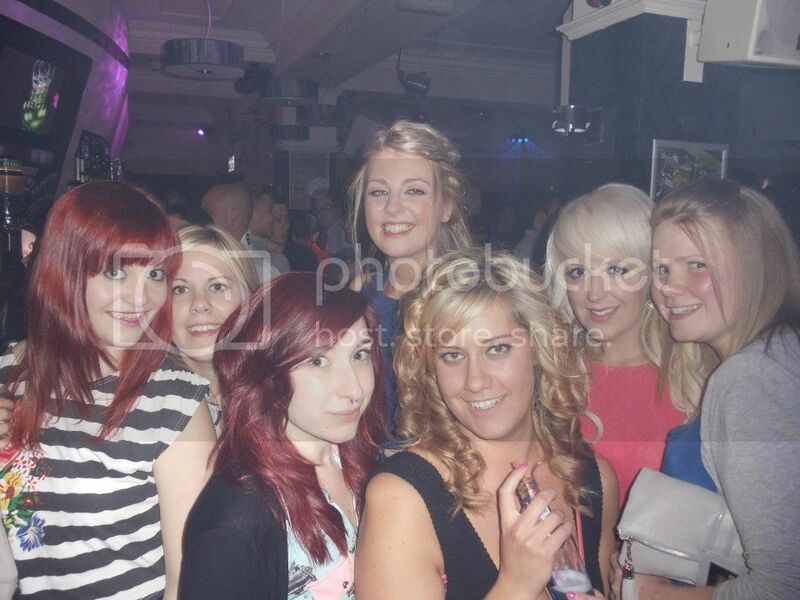 The last couple of weekends have been full of celebrations because of this, mainly involving food and a lot of alcohol! 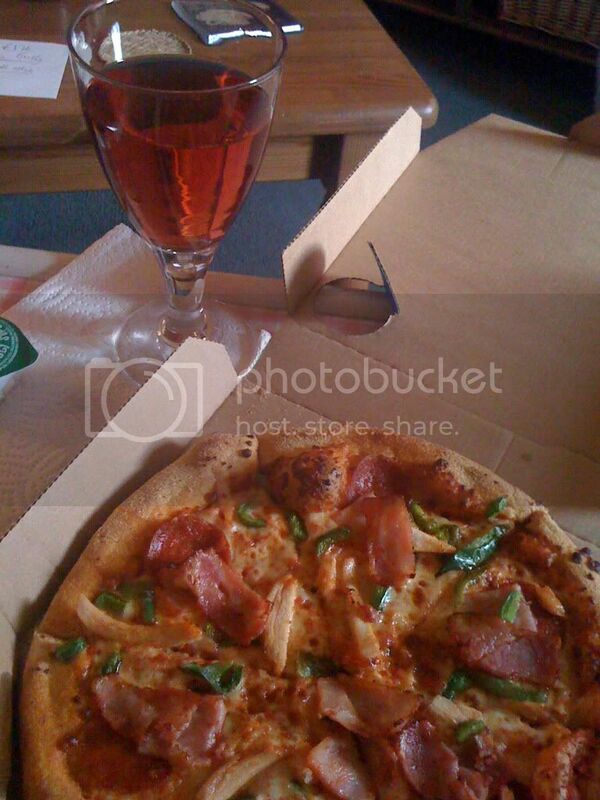 Ended up having Dominos and wine night with the parents when it was first announced... 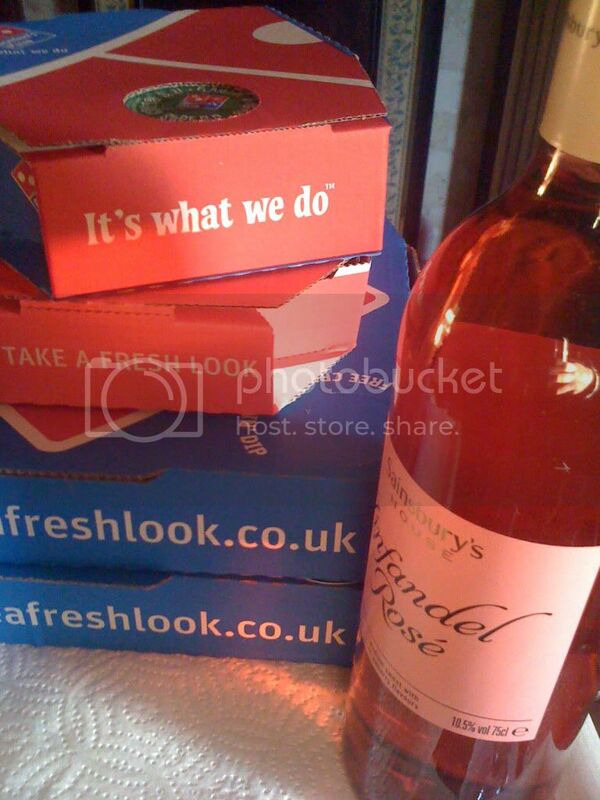 Completely stuffed ourselves full of takeaway because we couldn't decide from the pizza menu so we pretty much had a feast. 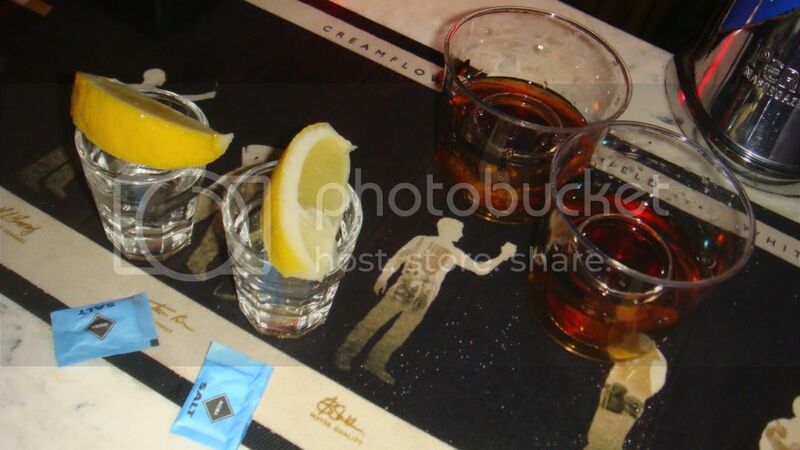 The following night, I celebrated a friend's birthday at an Indian restaurant and in town with a few too many jagerbombs. I then had my last ever day at work on the Monday (with no time to say goodbyes, which was a bit of a strange feeling!) then visited Sheffield to help out at uni again (which was great, as always! ), and ended up nearly failing at a Disney pub quiz (although I blame my friend for that...). Now, I'm back home and trying to organise my life. Trying to get back to reality. I don't know whether I'm coming or going at the moment. I guess all that will become clear when I've moved back home. I guess this is why I haven't blogged every day (or every other day, at least) throughout the last week or so. Everything has been all over the place... Hopefully I'll get back into the swing of things again soon though. I still don't want to go into too much detail on things... But with my life being so epically busy lately, I needed to say something! Regular business will commence on Tuesday (fingers crossed)! Especially with Selina's idea of the May 31 Day Fashion Blogger Challenge... I've never done a blogger challenge so it should be really fun to do :) Are you getting involved in it? So much going on right now by the sounds of it! I hope that the move goes well and am quite gutted that I didn't make the most of you being in Bristol to nip over and meet up with you!